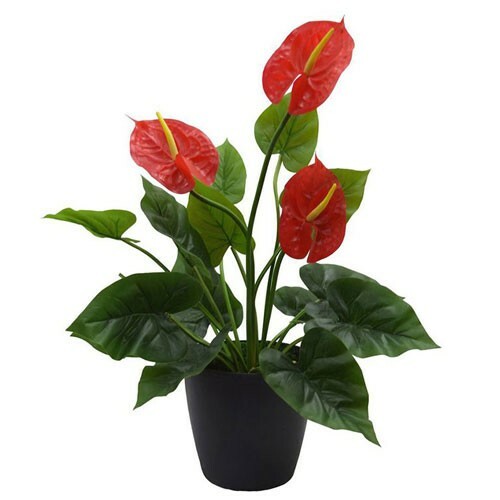 The striking Anthurium is always one of the favorite. The wide, open leaves and petals give an exotic look, however it's refreshingly easy to care for. Just keep it moist, but reduce watering during the colder months.